You know that riding your bike instead of driving is good for the environment, but do you know how good it is? 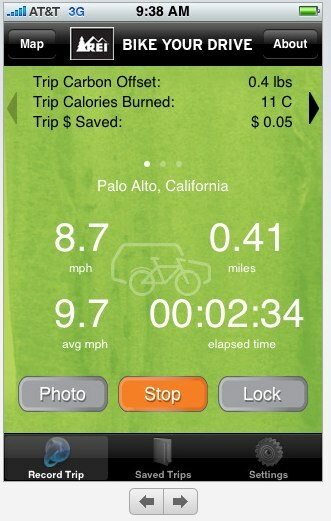 If you’ve got a bike and an iPhone, you can calculate just exactly how green you’re being at any time with the REI Bike Your Drive iPhone application. Ride a route and see how much carbon you’ve saved, how many calories you’ve burned and how much money is left in your pocket. You can upload the ride to EveryTrail.com to share it with other people as well.